I couldn’t decide what to say, really..
Harsh much? Well, that’s your judgment. 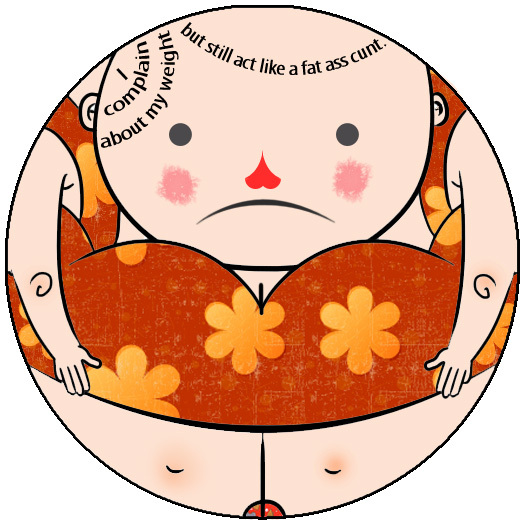 These stickers were Inspired (and requested) by cranky pal Ping ala pet peeve #35773: people who are neither sickly nor handicapped, yet insist on inconveniencing others by riding the elevator up ONE FLOOR. In the mean time, I’m sorry for being so absent here on cerealsaturdays. Please rest assured that projects are fervently in the works : ( Knives is really buggy. Am doing my best on my end; might resort to returning to the ol’ brush and bristol board at this rate. Happy friday, mates! This entry was posted in the illustration thing and tagged illustration on April 1, 2011 by Reg. OH MY GOD THESE ARE HILARIOUS. 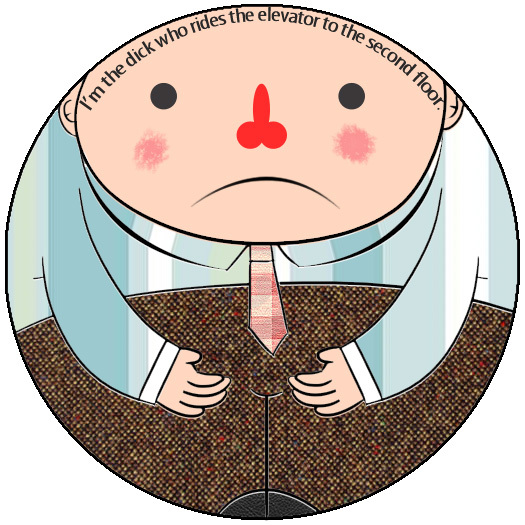 The other thing I can’t stand are assholes who insist on running inside the elevator as soon as the doors open before ANYONE in the elevator can step off. 😀 thanks! Glad you like ’em! Hahahahaha, I want these as coasters! That’s not a bad idea! I’ll see what I can do! hehe know that you’ve probably printed this already, but can’t help but share! hey these look sad btw.